This restaurant enjoys an excellent reputation and serves a select range of English foods. As one would expect, the house specialties represent a sampling of Britain's best. 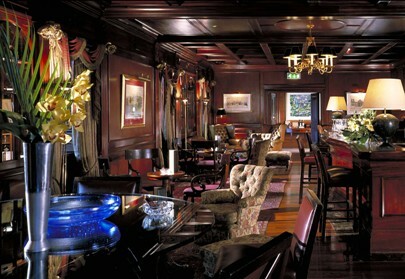 A glance at its menu will reveal delicious dishes such as Beef Wellington, Prime Rib, Roast Beef and Yorkshire pudding. As far as the decor is concerned, the restaurant is very Anglo-Saxon in feel, creating a rather serious and formal atmosphere. The high prices here are justified by the quality of the cuisine as well as the pleasant piano music that can be heard from Monday to Saturday between 1pm and 5pm. Jackets are required on weekdays.